The integrated data analysis offers extensive possibilities to analyze and visualize the data. 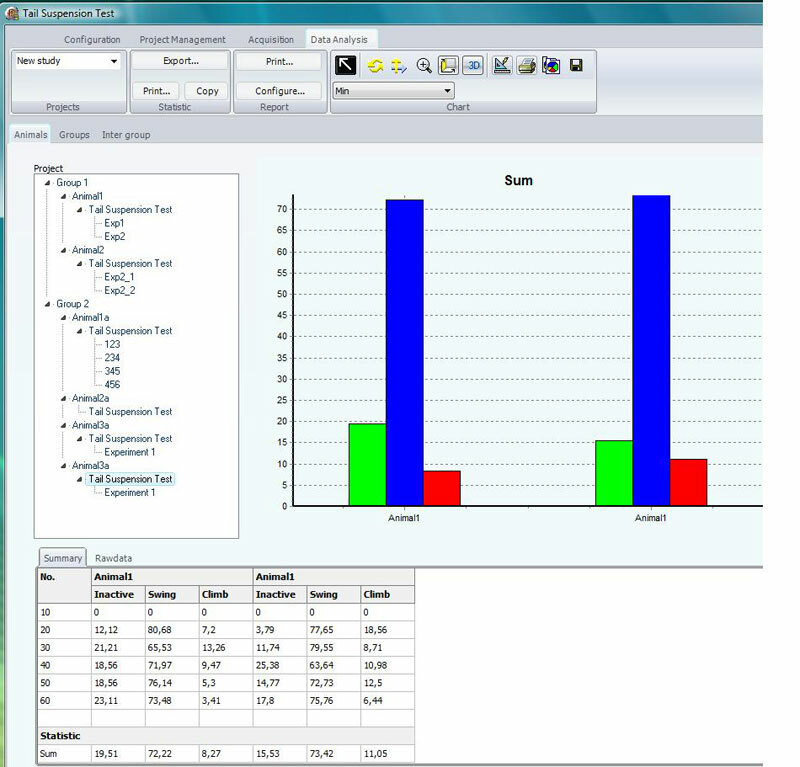 For example you can group the data of different animals of several experiments and perform intra- and inter-group calculations and comparisons. Standard error for single values statistic for the calculation of the validity of the inter-group statistic. By means of the project tree structure on the left side it is very easy to compare data of animals and groups. This figure shows the behaviors for the three different groups and you can easily compare the data. All data and graphs can be exported in different file formats. If you have questions concerning this product, please don´t hesitate to contact us.